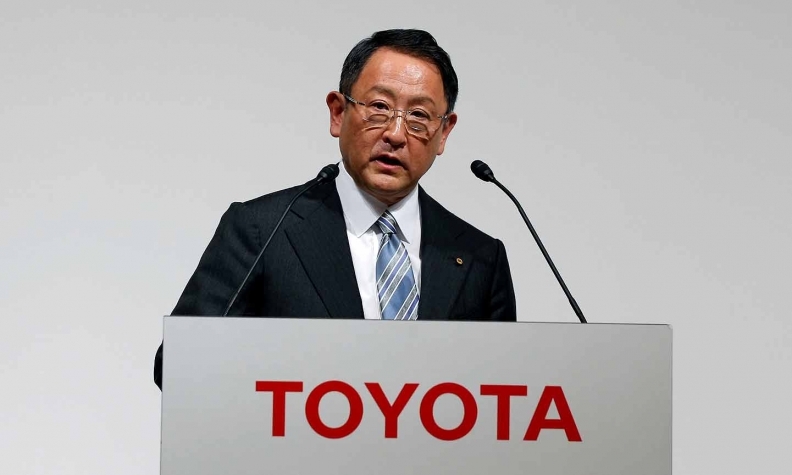 Toyota CEO Akio Toyoda aims to create a flatter, more diverse workforce with the reshuffle. TOKYO -- Toyota is reorganizing its executive lineup to inject flexibility and faster decision making into its attempted transition from traditional automaker to new mobility provider. The changes will create a flatter, more diverse workforce as Toyota confronts the challenges of a rapidly changing automotive industry, CEO Akio Toyoda said in a news release Friday. The overhaul also aims to develop younger talent by giving junior managers a faster path to advancement. It dispenses with rungs in the traditional seniority-based ladder system. Talent and ability, not age or education, will be the decisive factor in career advancement, Toyoda said. As part of the change, Toyoda takes on a new title as chief branding officer. Former design chief Tokuo Fukuichi had previously held a similar role for the Lexus luxury brand. Toyoda will step up as the chief brand ambassador for both the Toyota and Lexus brands. "The revisions to our organizational structure are designed, by reducing the number of structural layers, to allow rebirth into a Toyota that is able to reach conclusions more swiftly, make prompt decisions, and take immediate action faster than ever," Toyoda said. "The aim is for them to go straight to where the action takes place and to make their visions a reality." The changes, which take effect Jan. 1, eliminate a tier of executive posts at the managing officer level, collapsing it with levels below and flattening the hierarchy. Senior managing officers will be rechristened operating officers. There is no change to the executive vice lineup or the board. James Lentz, CEO for North America and currently a senior managing at the parent company in Japan, will become an operating officer. So will Steve St. Angelo, CEO for Latin America, Johan van Zyl, the automaker's chief in Europe, and Yoshihiro Sawa, president of Lexus. Toyoda has been trying to cultivate a more resilient startup mentality inside Toyota as the car company tackles new businesses in electric cars, autonomous vehicles and connectivity. Appointing the "right people to the right positions" is key to push, he said. "The very concept of the automobile is on the verge of undergoing transformation," Toyoda said. "Nothing is more important than creating a corporate climate in which professionals who excel at what they do can freely play a role in responding to management issues as they arise." Toyota used to conduct massive companywide management changes about once annually, usually timed to the April start of the fiscal year. But in recent years, it has been shuffling management whenever needed in an effort to adapt more quickly to changes in the industry.